For the duration of Holy Week, we thought it best to focus on themes centering on Christ and His Gospel message. This post is the second of three scheduled over Holy Week concerning the person of Christ and the events of His life, as we know of them from the facts presented to us in the Gospels. In Part One of this brief series, we focused on the facts of the person of Christ – beginning with man's need for a Saviour, God's promise that He would send a Saviour, the prophecies concerning His coming, and the facts of His life demonstrating that He is this promised Messiah, both God and man. Today's post focuses on the facts of the crucifixion of Christ – His arrest, trial, torture and death. 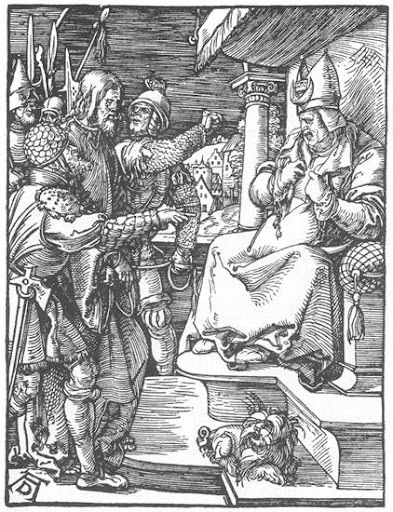 Such facts are important, as they impress upon us that the events of Christ's life as recorded in the Scriptures, as important as they are to the Christian religion, aren't just religious truths: they are also, and most importantly, legitimate history – the same sort of legitimate history by which we learn of Pope Gregory VII, Martin Luther, George Washington, Napolean Bonaparte, Queen Victoria, or Winston Churchill – a history which has not lost integrity as historians and archeologists have studied the historical claims of the Bible, but a history whose credibility remains established as those claims are verified as fact. The facts of history concerning Christ, as they are recorded in the Scriptures, establish the Christian religion – and this is why, as facts, they are important: for if the Messiah had not actually come as God in the Flesh, in fulfillment of Old Testament prophecy, then the Christian religion is a myth, the same as every other religion on the planet which rests on unverifiable historic claims, or on no claims whatsoever. This post is taken from a series of posts on Law & Gospel, begun in October 2010 (a series which is awaiting the completion of two more essays, before finally being finished), from the post entitled Law and Gospel: What do they teach? 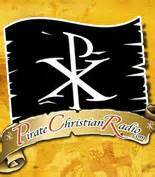 – Part 3.1, The Events of the Gospel Accounts (The Death of Jesus). The remaining post of this Holy Week series, Who is Jesus? – From the Facts presented in the Gospels , is scheduled for Saturday and will cover the facts of Christ's Resurrection. In the night in which He was betrayed, after His observance of the Passover meal with His disciples and the institution of the new Testament in His blood which followed it (Mt. 26:26-29; Mk. 14:22-25; Lk. 22:19-20), Jesus, accompanied by some of His disciples, went to the Garden of Gesthemene to pray (Mt. 25:36; Mk. 14:32). While He was praying, Judas, in an act of betrayal, came leading a band of men to arrest Him (Mk. 14:43; Jn. 18:2-3). The disciples who were with Jesus rose to fight, but He forbad them (Mt. 26:51-52; Jn. 18:10-11). He would go with His executioners willingly (Mt. 26:53-54). His disciples fled into the night, abandoning Him (Mt. 26:56; Mk. 14:50). Left alone, Jesus was seized and taken first to Annas, before whom no witnesses were produced, and then to the palace of his son-in-law, Caiaphas (Mt. 26:57), the Jewish High Priest (Jn. 18:24), where teachers of the law and the elders were assembled for a nighttime trial (Mk 14:53). Though they had arranged the betrayal of Jesus beforehand (Mk. 14:10-11), and had adequate time to assemble witnesses, upon examination no two witnesses were found to agree (Mt. 26:59-60; Mk. 14:56), and thus no charges could be substantiated against Him (De. 17:6; 19:15; Mt. 18:16). 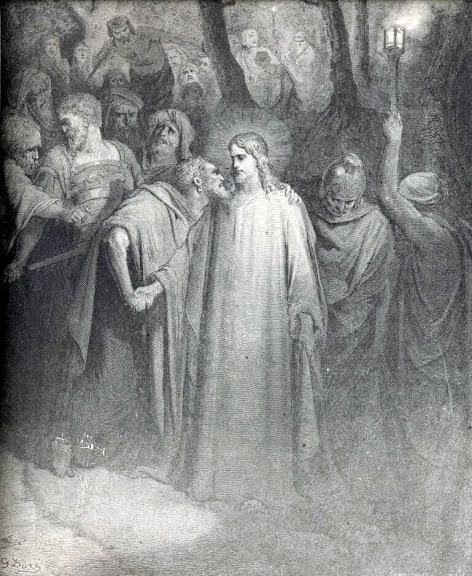 Caiaphas confronted Jesus directly. Knowing that the Christ would also be God, he issued the challenge: "Tell us if you are the Christ, the Son of God" (Mt. 26:63). Yes, it is as you say, Jesus replied. But I say to all of you: In the future you will see the Son of Man sitting at the right hand of the Mighty One and coming on the clouds of heaven (Mt. 26:64). "He has spoken blasphemy!" Caiaphas cried, tearing his clothes (Mt. 26:65). No further witness was needed. Jesus – Who, standing before them, was obviously fully man – claimed to be the Son of God, the Christ Whom God had promised to send. Yet, wouldn't the Christ be both Man and God? Wouldn't any man presenting Himself as the Christ also need to present Himself as God? Wouldn't those evaluating such claims need to evaluate the evidence such a One presented in support of that claim? Nevertheless, His public claim to be God was the expedient they needed to move forward with their plans. 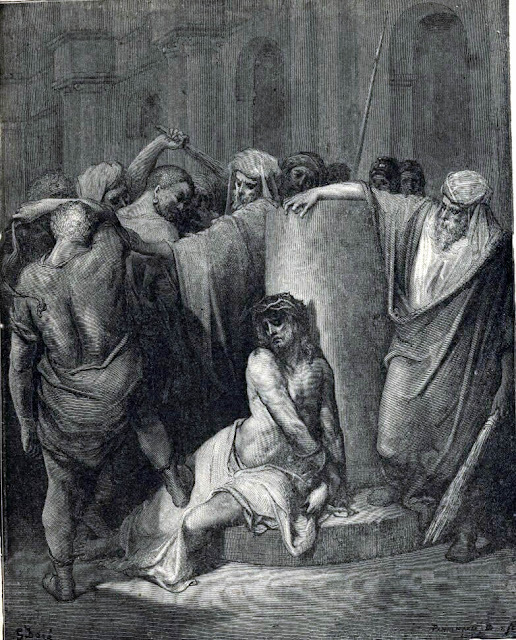 Being concerned that their influence over the people was waning because of the convincing force of His message and miracles, and eager to preserve tranquility with Rome (which seemed to be continuously tried by the political agitation of Jewish Zealots5), Caiaphas and the elders had resolved long beforehand to find a way to have Jesus executed (Jn. 11:49-50; 18:14), designating Him as their scapegoat and sacrifice for the benefit of the people. Being under Roman rule, however, they did not have the authority to execute anyone (Jn. 18:31). Such an order would have to come from the Roman Governor of their region. So the Jewish council took Jesus before Pilate, who scoffed at them: religious infractions were no basis for execution (Jn. 18:31). The council then altered their charge to one of treason against Rome. They accused Jesus of subverting the nation, opposing the payment of taxes to Caesar, and claiming to be a king. "He started in Galilee and has come all the way here," they said (Lk. 23:2). 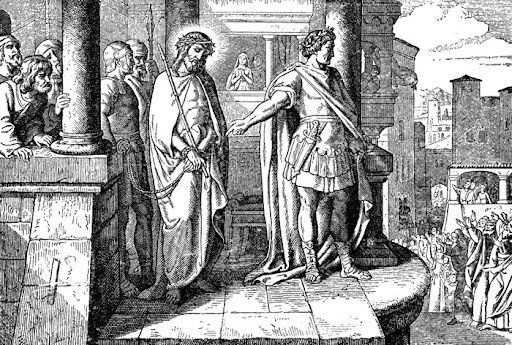 When Pilate heard that Jesus was from Galilee, and therefore under King Herod's jurisdiction, he tried to dismiss their case by turning Jesus over to Herod for judgment (Lk. 23:7). But Herod was simply interested in seeing Jesus perform magic tricks, and after Jesus refused to answer his questions, he sent Jesus back to Pilate (Lk. 23:8-11). Pilate therefore examined Jesus, and found him to be innocent (Lk. 23:14-15,22; Jn. 18:38). To appease their bloodlust, he had Jesus horribly scourged (Jn. 19:1), but the gathering crowd showed no sympathy (Jn. 19:6). Failing to assuage the desire of the assembled Jews to execute Jesus by even offering them an exchange with a criminal – a bona fide Zealot and enemy of Rome (Lk. 23:19,25) – Pilate washed his hands of His blood and turned Jesus over to them to be crucified (Lk. 23:25; Mt. 27:24-26; Jn. 19:16). 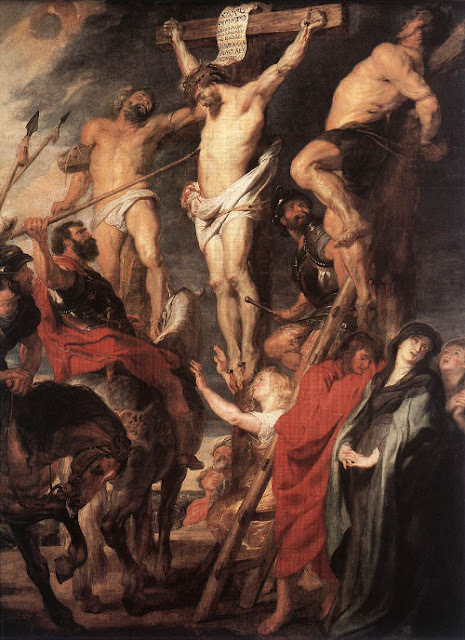 Already badly beaten, Jesus was forced to carry His cross as far as He could bear it, to a place outside of Jerusalem named Calvary: the place of the skull (Mt. 27:33; Jn. 19:17). There He was affixed with nails to a wooden cross, between two criminals, to suffer and die while suffering the ridicule of the assembled gawkers (Mt. 27:38-44). His mother, Mary; the youngest of His disciples, John the Evangelist; and others were there as well (Jn. 19:25-26). While on the cross, Christ begged His Father in Heaven to forgive those who were tormenting and executing Him (Lk. 23:34), consigned the care of His mother to John (Jn. 19:27), displayed physical depletion by expressing thirst (Jn. 19:28), assured salvation to the repentant criminal being crucified with Him (Lk. 23:43), expressed spiritual torment by crying to His Father in heaven asking why He had been forsaken of Him (Mt. 27:46; Mk. 15:34), announced the completion of His work on the cross (Jn. 19:30), and commended His Spirit to the hand of God (Lk. 23:46). Upon His death the sky darkened (Mt. 27:45; Lk. 23:44-45), the earth quaked (Mt. 27:51), the dead rose from the grave (Mt. 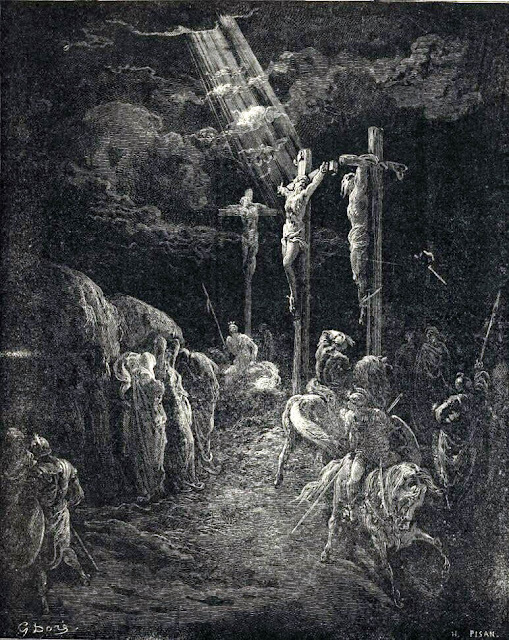 27:52-53), and those in attendance recognized that His death was of transcendent significance, prompting the Centurian overseeing His execution – a man who had, no doubt, overseen numerous executions, and yet recognized this one as peculiarly significant – to exclaim, Surely, this Man was the Son of God! (Mt. 27:54). To hasten the death of those being crucified, the Roman guards broke their legs – a procedure called crurifracture. After doing so to the criminals being executed with Jesus, they found that He appeared to already be dead. To confirm it, they pierced His side with a lance – leaving a hole large enough that Thomas could later fit his hand into it (Jn. 20:27) – upon which both blood and water issued from Him (Jn. 19:34). This evidence removes all medical doubt that Jesus did, indeed, die while on the Cross: the water was the transparent serum in the pericordium which separates from coagulated blood after a persons death, probably mixed with gastric fluids, and the flow of blood undoubtedly came from the right atrium of the heart, which is always filled with blood. Christ – the Man Who is also demonstrably God – physically died. That He died is beyond dispute. Not only was he confirmed dead by the professional executioners overseeing His death (Jn. 19:33-35; Mk. 15:44-45), He was affirmed dead by the Jewish embalmers who hastened to prepare His body and place Him in a tomb in accordance with Jewish law – which required that those executed on a tree be buried before sundown (De. 21:22-23). Moreover, the testimony concerning the events of Jesus' death, particularly the medical details, are conclusive even by today's sophisticated forensic standards. In the March 1986 edition of the Journal of the American Medical Association (Vol. 255, No. 11), after a critical analysis of the testimony concerning the death of Jesus in the Gospels, authors Willam Edwards (MD) and Floyd Hosmer (MS, AMI) of the Mayo Clinic (Rochester, MN), and Rev. Gabel (UMC), conclude that while "it remains unsettled whether Jesus died of cardiac rupture or of cardiorespiratory failure... interpretations based on the assumption that Jesus did not die on the cross appear to be at odds with modern medical knowledge" (pg. 1463). 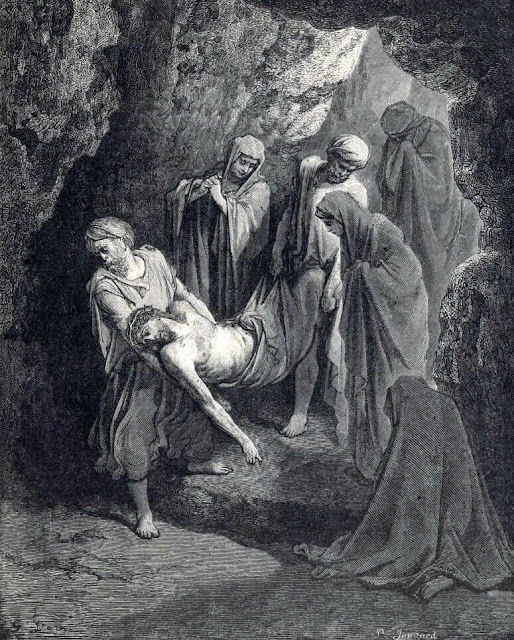 In other words, Jesus wasn't playing dead, and He wasn't merely "mostly dead," when Joseph of Arimathaea and Nicodemus lowered Him from the cross, hastily embalmed Him, and layed Him in a tomb hewn from rock (Jn. 19:38-42). He was fully clinically dead. Josephus, F. (1998). The Antiquities of the Jews, Book 18.1.2-18.3.3. In W. Whiston (Trans.) Josephus: The Complete Works. Nashville: Thomas Nelson Publishers. (Original work published in Greek, 1st Century, A.D.). pp. 572-576.